The Native American Indians were a perfect example of people living in a community, and especially living off the land in perfect harmony with life. having lived on this land for thousands of years. The men were hunters and warriors providing protection and food for the women and children. The women took care of the children as well, farmed and were responsible for keeping everything in order in their homes. The Indians ate natural food such as corn, beans, squash, fruits, nuts and also hunted deer, buffalo and fished. The Cherokee Indians were the largest of Five Tribes who settled in the Southwest territory. The Cherokees lived in cabins made of logs instead of living in tee pees. They were a very relgious and spriritual people. When the American revolution started, the Cherokees supported the British soldiers and even particpated in battles. Today the largest population of Cherokee Indians live in the state of Oklahoma. 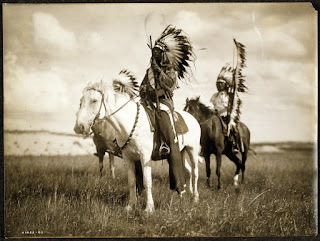 The Blackfoot Indians lived in Montana and in Alberta, Canada. Like the Apache, the Blackfoot were also great warriors. Their community was made up of between eighty to two hundred forty people. Therefore, it was big enough to defend themselves, yet small enough to move quickly if necessary. The Blackfoot were nomadic because they followed the herds of Buffalo. During the winter the Blackfoot lived close to rivers and in Spring they would move out into the grasslands in search of food. Nowadays, the Blackfoot Indians are mainly ranchers and farmers. The Apache Indians came from The Aslaskan region, Canada and some parts of the Southwestern United States. It is said that they were one of the frist tribes to learn how to ride horses, and in fact became experts in horseback riding. As the Apaches were defeated by the Comanche tribe, they were forced to move to New Mexico and Arizona. They often fought battles against The Spaniards. After years of fighting, a Spanish leader agreed to give them lands in Texas. 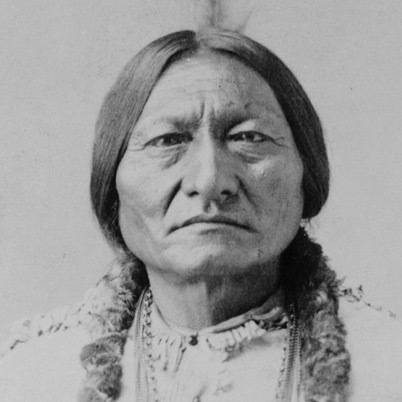 One famous and possibly the most powerful Native American Indian chief was Sitting Bull. Watch this video about "The Ten Commandments of the Native American Indians"
I'm satisfied that you just shared this useful info with us. Please stay us up to date like this. Thanks for sharing. will definitely take good experience. Hello it's me, I am also visiting this site daily, this website is in fact pleasant and the people are actually sharing good thoughts.